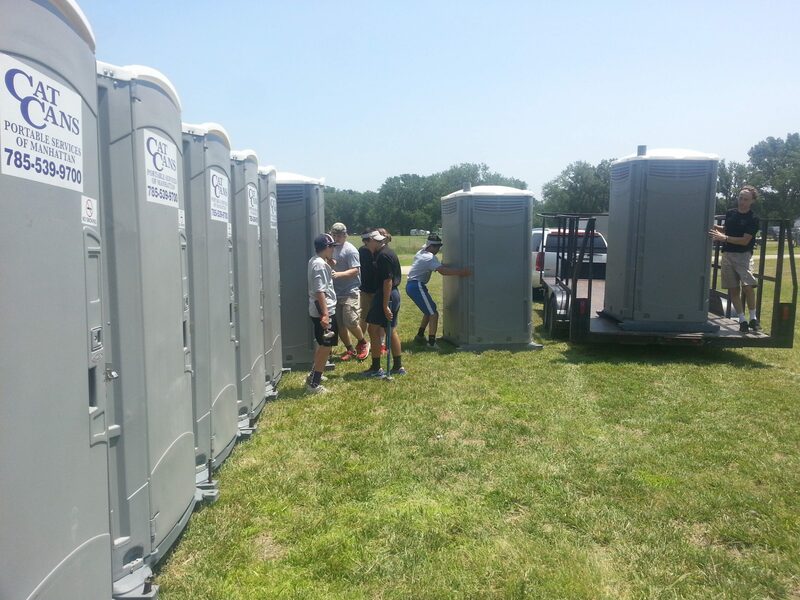 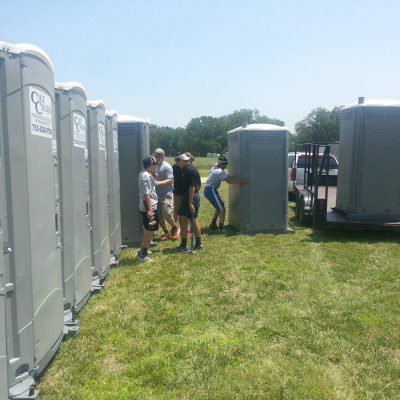 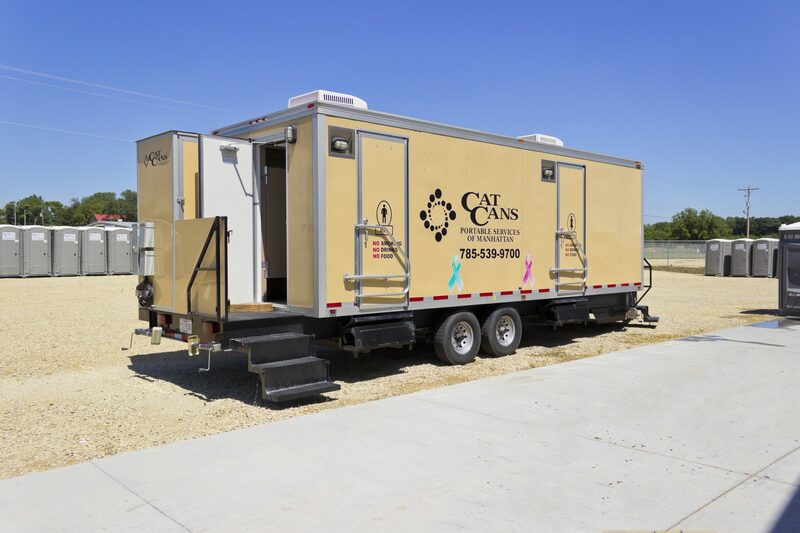 Cat Cans offers a large selection of portable restroom facilities to serve the needs at your construction site or special event. 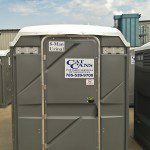 Our products comply with OSHA standards, and are insured for pollution hazards while on your site. 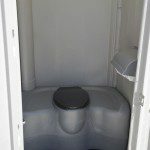 Each unit is delivered to your site in an excellent, sanitary condition. 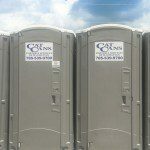 Along with our products we provide personal, dependable service. 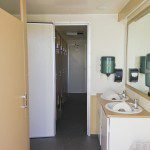 Our restroom facilities are cleaned and stocked regularly by our dedicated staff. 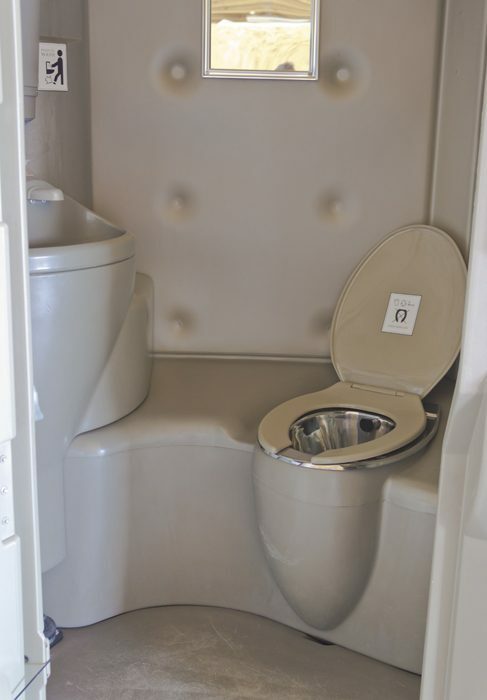 Our first-class service is what separates us from the rest. 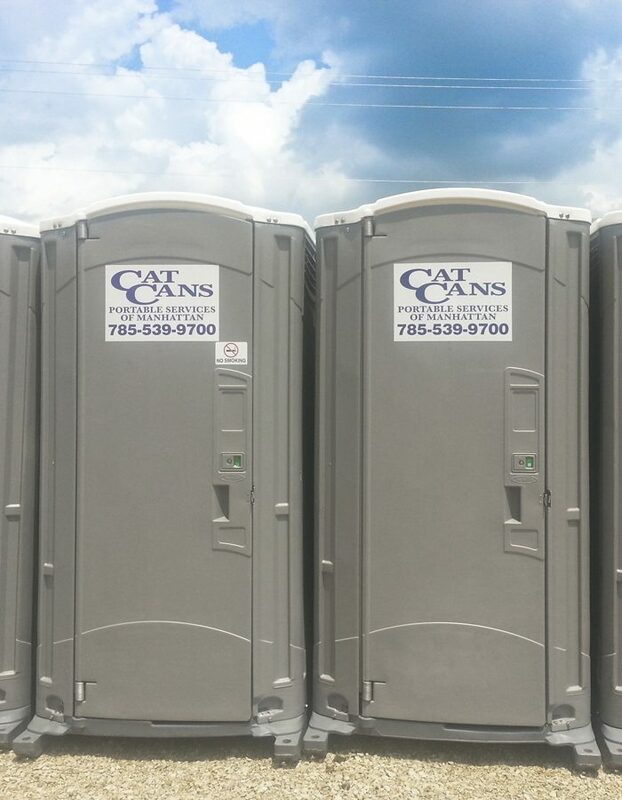 Whether you have a small construction site or are hosting an event with thousands of people, Cat Cans has the capability to meet your needs. 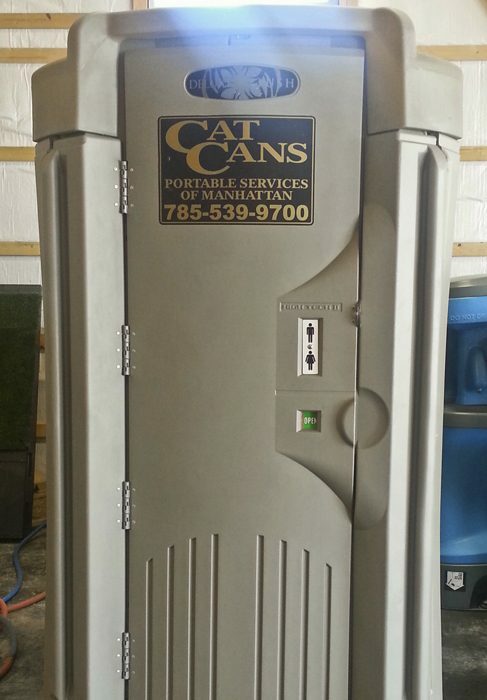 Stocked with toilet paper and hand sanitizer, serviced at least once a week. 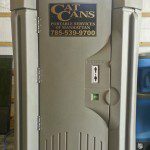 Our standard units contain a 70 gallon tank and urinal. 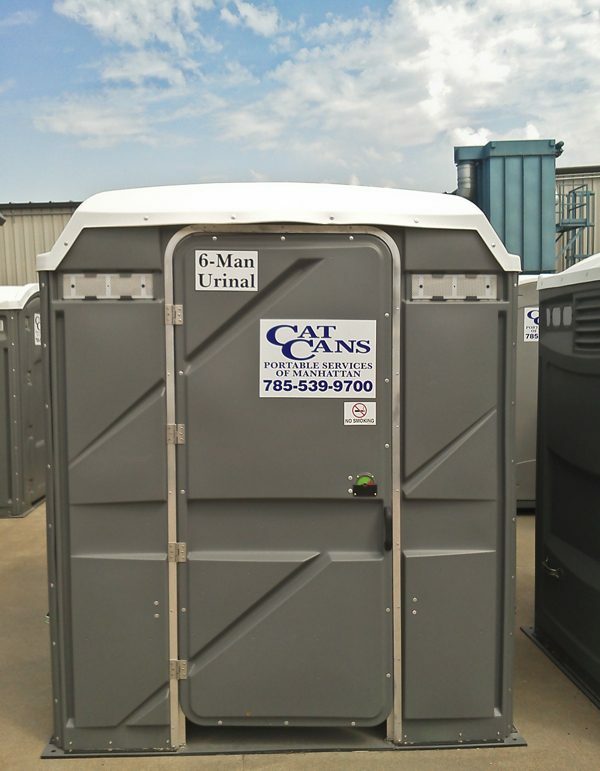 The units are 48″ x 48″ large and are granite gray in color with white rooftops. 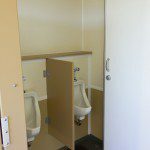 Our wheelchair accessible facilities measure 62″ by 62″. 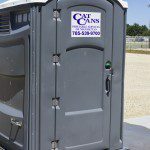 They are fully stocked with toilet paper and hand sanitizer, and are granite gray in color with white rooftops. 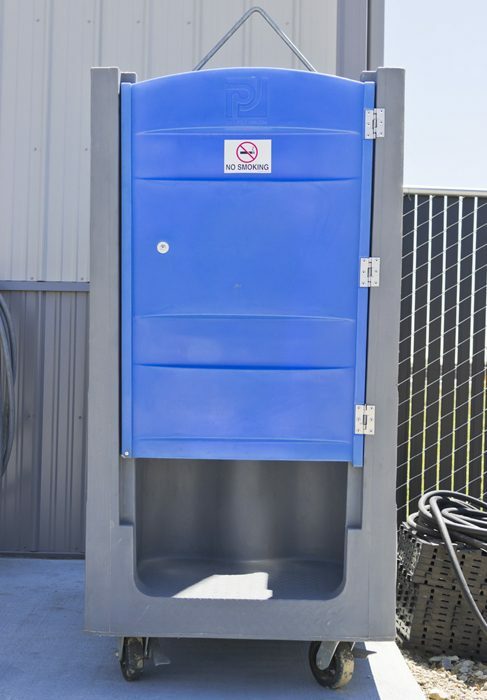 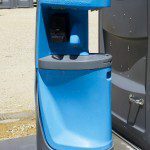 Our six man urinal is great for construction sites and large events. 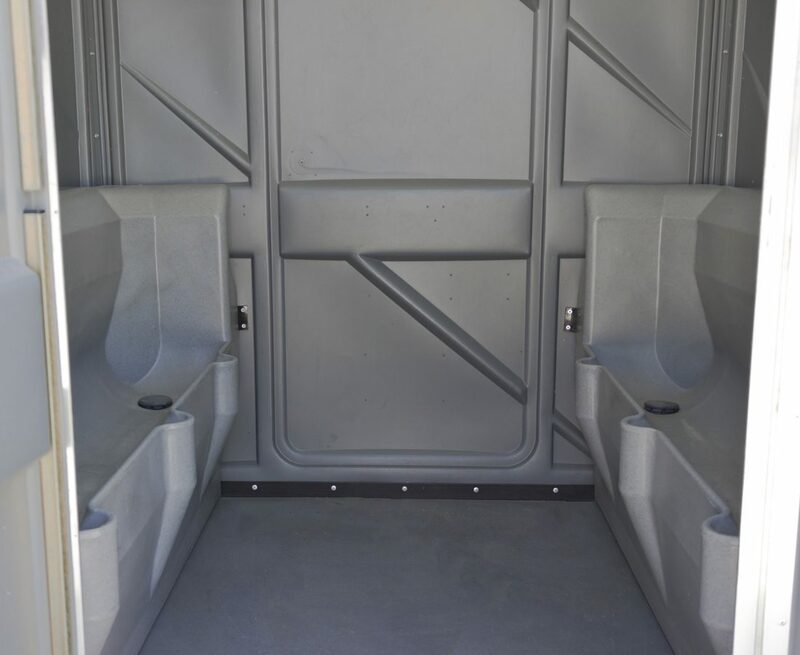 It is stocked with hand sanitizer, and the facility is granite gray in color with a white rooftop. 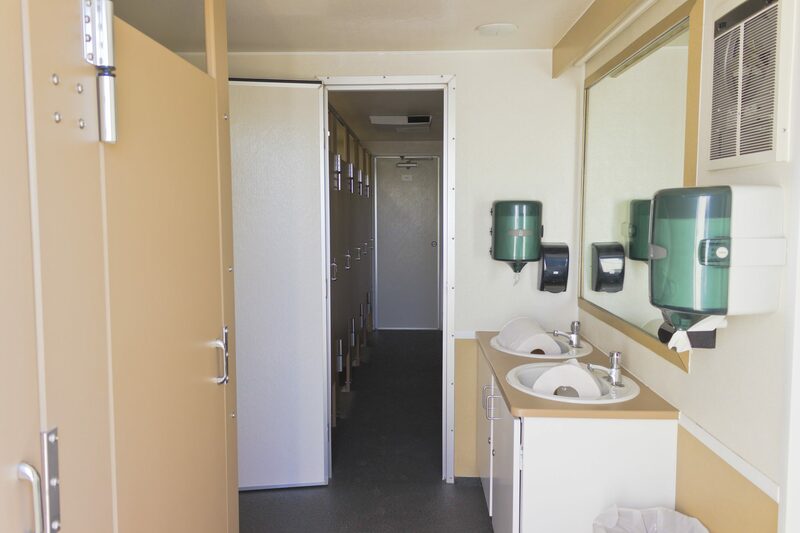 Our VIP restroom trailer is perfect for large events, weddings and any outdoor gathering where you want your guests to be able to use the restroom facilities in comfort. 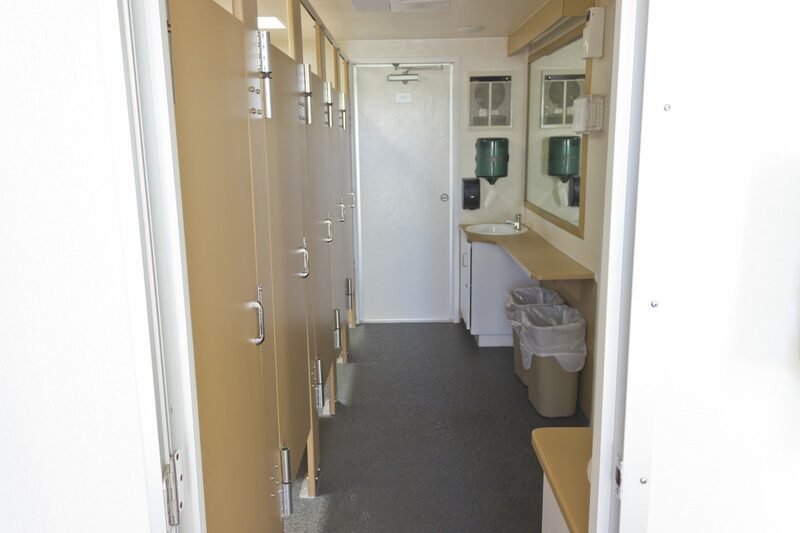 The VIP restroom trailer has the capacity to handle 5 women and 4 men at a time. 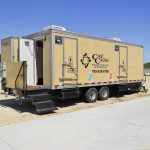 Our executive unit is designed specifically for special events. 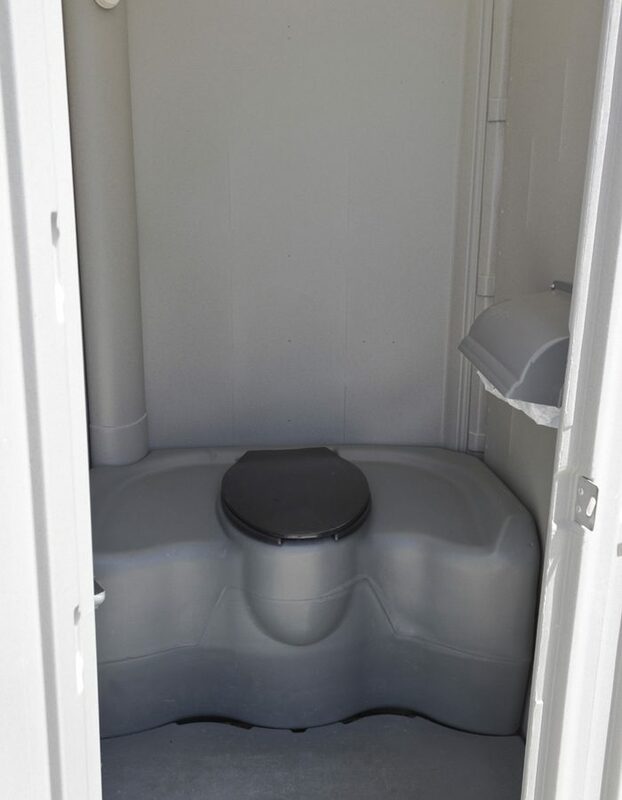 The toilet is flushable and the restroom comes fully stocked with toilet paper and hand sanitizer. 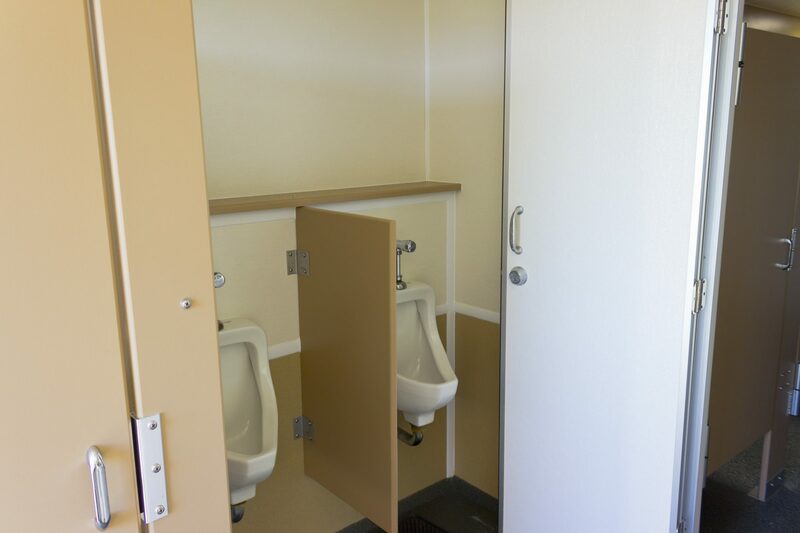 You guests will be impressed with the cleanliness of our facilities. 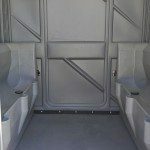 Have a tall project you’re working on? 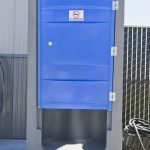 Our standard facility has the ability to be lifted to the top of your construction project with our lift kits. 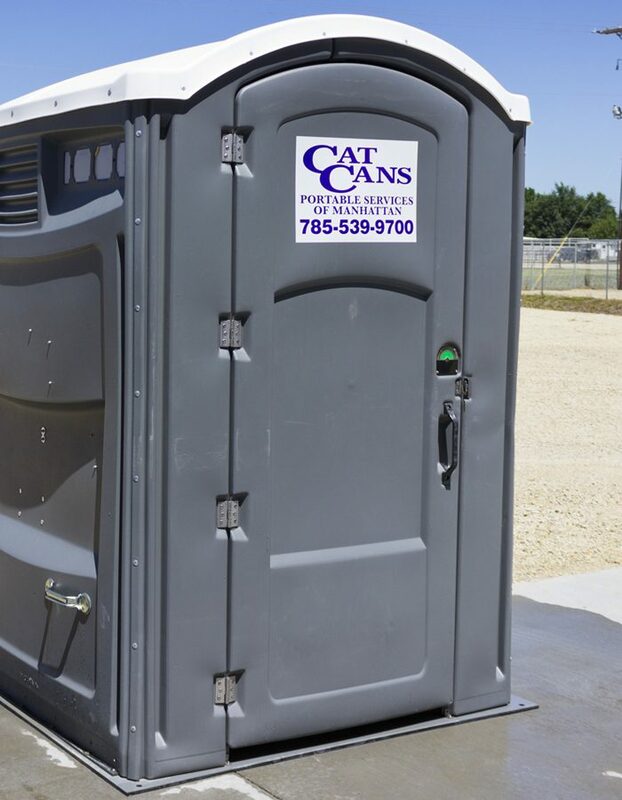 An added convenience for your guests, most often placed adjacent to your portable restrooms. 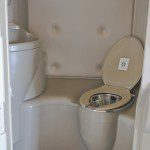 Each includes water, soap and paper towels. 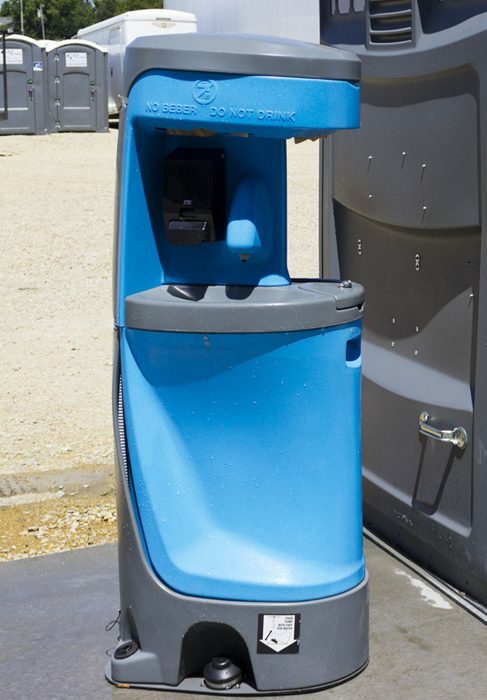 The hand washing stations operate with a foot pump and each style has two wash stations. 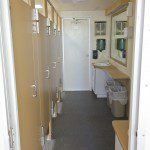 Already have a job trailer with restroom facilities? 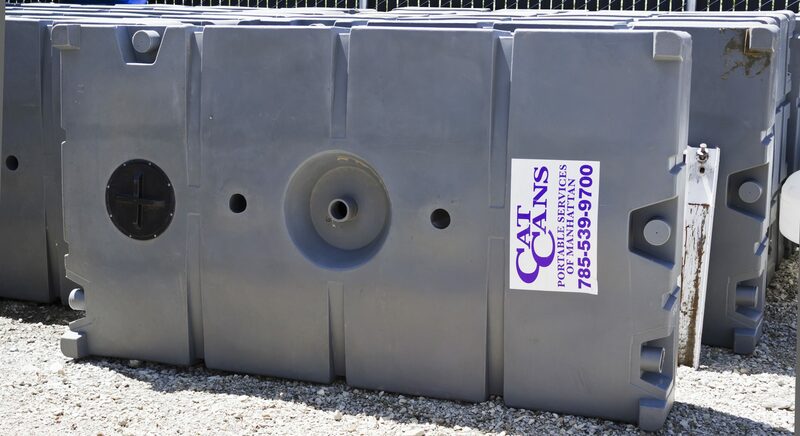 We can plumb our 300 gallon holding tanks right into your job trailer for your convenience.